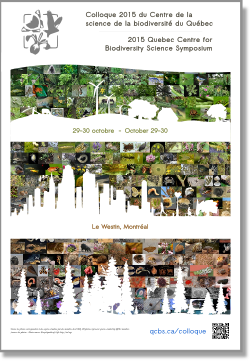 This year the QCBS held its annual symposium (Oct 29-30th) at the Westin Hotel in conjunction with the 19th Subsidiary Body on Scientific, Technical and Technological Advice (SBSTTA) meeting of the Secretariat of the Convention on Biological Diversity (in Montreal Nov. 2-7 2015). A joint workshop, co-organized by the QCBS, the SCBD and the Future Earth (international program on sustainable development, www.futureearth.org) was planned for Octobter 31st at the ICAO. The goal was to foster the translation of biodiversity science into advice for practitioners and policy makers from around the world. October 29th, 2015 : Day 1 of the QCBS conference consisted of three parallel sessions of talks by QCBS researchers on all dimensions of biodiversity science. October 30th, 2015 : Day 2 comprised of two panels on nexus issues linking biodiversity to cities, agrosilvopastoral systems, and health as well as two parallel sessions of talks. The panels will involve talks by experts on the topic and then a Q&A with the audience. This was followed by speed talks, a poster session and cocktail. 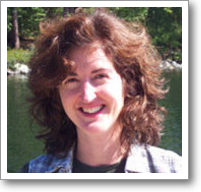 Dr Mulrennan’s research interests focus on indigenous peoples and their use and management of coastal and marine environments. More specifically she is interested in local ecological knowledge, community-based management, protected area development, human adaptations to environmental change, and small boat fisheries development. She has worked closely with Torres Strait Islanders (northern Queensland) since the early 1990s, initially as Coordinator of their Marine Strategy for Torres Strait (MaSTS) and more recently, in collaboration with Colin Scott (Anthropology, McGill University) in the documentation of local knowledge, marine resource use and Islander sea claims. She is a member of the McGill Wemindji Protected Area Project which is a research partnership with the James Bay Cree community of Wemindji (northern Quebec) focused on the establishment of culturally-appropriate protected areas on significant portions of their traditional territory. Virginie Millien, McGill University. The role of the white-footed mouse in the spread of Lyme disease, and the implication of climate change. Jochen A.G. Jaeger, Concordia University. Operational guidance through indicators of normative relevance: Landscape fragmentation, road ecology, and the City Biodiversity Index (CBI) as case studies. Jérôme Dupras, Université du Québec en Outaouais. Planning for Montreal green infrastructures: analyzing conservation priorities. Alain Cogliastro, Institut de recherche en biologie végétale. Enrichment in urban forests: planting our future. Panel 3 – The links between biodiversity, resilience and productivity in agrosilvopastoral systems. Emma Despland, Concordia University. Insects in changing landscapes: why do some become pests and others go extinct? AbstractAgrosilvopastoral landscapes are highly modified by human activity – often to the detriment of biodiversity, but to the great advantage of a few species, known as pests. Whether herbivorous insects become more or less abundant in human-modified landscapes depends on the diversity of their interactions with host plants. A simple conceptual model shows how anthropogenic drivers that alter constraints acting on insect populations can lead to the surpassing of critical thresholds, hysteresis, and a change in the insect’s role in the ecosystem. In extreme cases, the system’s resilience is exceeded, generating fundamental regime shifts in which the system’s functioning can no longer be predicted based its past behaviour. Joseph Moisan-De Serres. 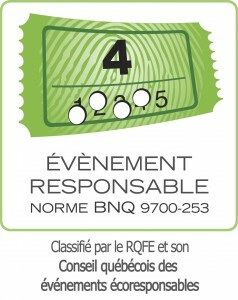 Ministère de l’agriculture, des pêcheries et de l’alimentation. Influence of pollinators on the productivity of agro-ecosystems: a matter of proximity and species mixing. A joint QCBS-SCBD-Future Earth workshop (31st Oct) will focus on the nexus between human well-being and biodiversity. The conclusions of the 3 panels organized on day 2 of the QCBS Symposium will be presented to all participants. World Cafe style discussions in the afternoon will stimulate ideas to enhance interactions and collaboration between the CBD, Future Earth and the QCBS. See the preliminary program for the workshop here. Cancellations received up to and including October 15, 2015 will receive full refund of their registration fees. Refunds will be provided by applying a refund to the credit card used in registering. 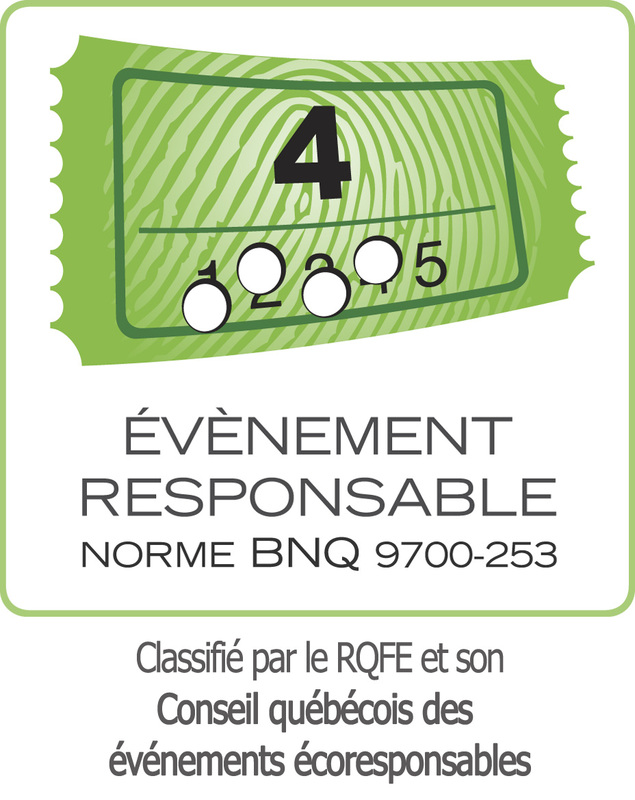 All cancellations notices and refund requests must be received by e-mail (Philippe Auzel, the QCBS coordinator Roa Cho, the QCBS administrative assistant). No refunds will be made for cancellations received after October 16, 2015.